If you are a musician and always on the road, you know how important travel guitars are. In today’s world, where everything is getting compact day by day, we are not accustomed to carrying anything bulky, be it a suitcase or a musical instrument. For this reason, travel guitars are opted by musicians around the world to accompany them wherever they go. Usually, travel guitars come in complete scale length, but non-full scale length versions are also available. However, being small is not the only thing that is required of travel guitars; they should sound as good as normal guitars as well. What is the point of traveling with a guitar when it doesn’t even sound good or is hard to play? 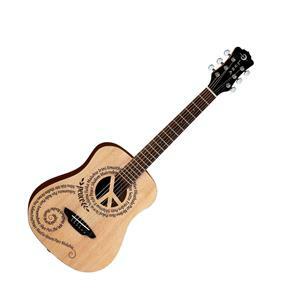 So, a travel guitar should be compact and slender that is easy to carry around yet produces great and inspiring music. Here are some of the best acoustic travel guitars that we have selected that are perfect for a road trip. 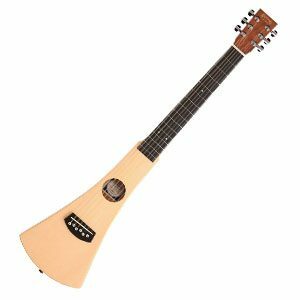 The LX1E Little Martin is a small acoustic travel guitar with a 23-inch scale length. The body is modified to have 0-14 fret with a low neck, oval shape, and an onboard tuner. It features Fishman electronics which allow more flexibility in performance by electrifying the sound. The LX1E Little Martin, like any other Martin, lives up to its name. It has a very rich tone and an onboard tuner. It also has a rugged body which allows you to keep it in your drawing room or take it on a road trip with you without worrying about the sun and dust. It is easy to play, always stays in tune, and surprisingly easy to do recordings. It has a very relaxed feel to it, but it doesn’t have a very loud volume, which is natural for a travel guitar. However, when you play it without plugging it in, it does have a quiet tone, which is its only drawback. 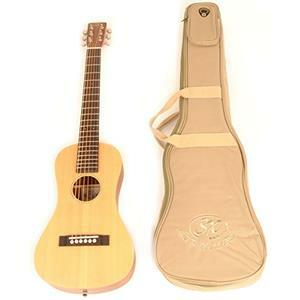 Overall, it is a good travel guitar, which is portable as well as sounds good and has a good feel to it. 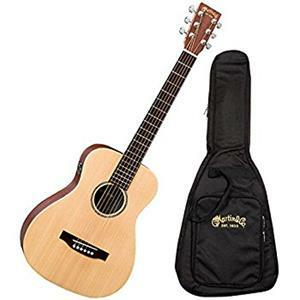 The Cordoba Mini Mahogany guitar is an ultra-compact travel guitar with nylon strings and a 20-inch scale length. It also has a 1.96″ nut width, which makes it easy to play. The 1.96″ nut width and full-sized neck give it a feel of a regular-sized guitar and make it easier to form chords and change positions. Like most guitars, it tunes on standard E tuning, but after a while, it loses the tension. Its compact size makes it ideal for travel and young musicians. 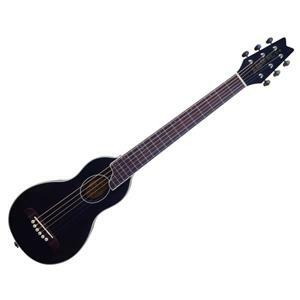 The Martin Classical Backpacker is an ultra-portable, lightweight, nylon string guitar. It has a robust body with tonewood back and sides and hardwood neck. It is hard wearing, easy to tune, and incredibly easy to play. It is small and shaped in a way which makes it easy to carry. It has 24″ scale length and 0-15 fret body and 1.938″ nut width. However, there are a few drawbacks. The volume is a bit low, even for a travel guitar, and it sounds more like a ukulele than a guitar. It also has a low bass and doesn’t stay in tune for long. The Martin Steel String Backpacker comes with great strings, and they sound phenomenal. With 24″ scale length, 15 fret body and 1.938″ nut width, it feels almost the same as a regular guitar. However, in contrast to regular guitars, its sound is a little pluckier, but it doesn’t sound bad. Picking of strings is easier, but fretting feels the same as a normal guitar, which makes transition particularly easier. It obviously doesn’t have the same volume as a regular guitar, but in contrast to its size, it has a pretty decent volume. It has a mahogany back and hardwood freeboard material, which make it look as good as it sounds. The guitar is certainly heavy in the neck, but with a properly adjusted strap, it works fine. It is extremely portable with a very good sound, making it perfect for travel. Gretsch Parlor are guitars of the 19th century, and I don’t mean it in a bad way. They are classic and still feature everything that they are famous for. 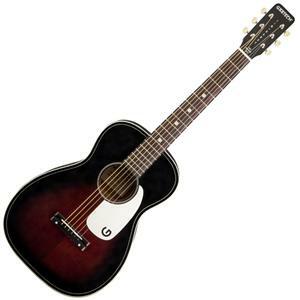 The Gretsch G9500 Jim Dandy Flat Top is not an exception. It has a 1.6875″ nut width and bronze strings. It seems the design of the guitar was a particular focus of the manufacturers, with Agathis back, rosewood freeboard, natos neck and the featured X-bracing and C-shaped neck, giving it a compact and vintage style. With a 24″ scale length, it is fully designed for warm and rich tone. It stays in tune for a good amount of time and is consistent. 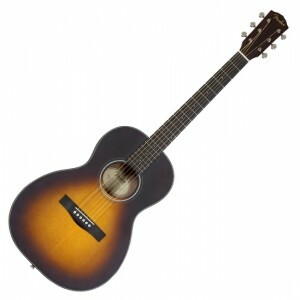 The Luna Safari Travel-Size Dreadnought is a well-constructed guitar. It has 19 fret body, 22″ scale length, bronze strings and a comfortable neck. It has nice frets and a comfortable neck. Saddling is easy, and no work is needed on the nut. It has a good amp which allows neat finishes, good tuning durability and a rich sound. It is an attractive guitar with a beautiful sound. The mahogany back and sides make it sound like a proper parlor instrument with a good bass. It also offers rosewood fretboard and satin neck. Overall, it has an extensively attractive tone, perfect for practicing and jamming. 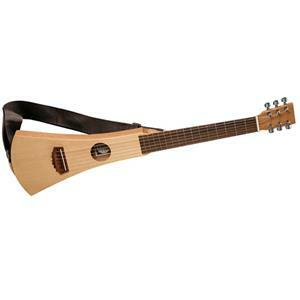 The Washburn Rover is a small guitar with a full-sized 24-inch scale length and nylon strings. It is compact in size and shaped to fit inside airplane overhead racks. However, the sound is a bit shallow and requires constant tuning. It is a full fret guitar with leveled frets. It has a small body with mahogany back and sides and rosewood fretboard. However, as the guitar features a complete-sized neck with a smaller body, it creates a certain imbalance and makes it a bit hard to play. It sometimes produces a flat sound and sometimes plays perfectly fine which makes it inconsistent. It also doesn’t have a good tuning durability. Overall, it’s not a bad instrument for the price; it just could have been better. SX Trav 1 Portable is an easy-to-carry, small guitar which does the job that it claims to do. It has 22 4/5″ scale length and 33 1/4″ overall length. The mahogany sides and back give it a very pleasant sound. It is a travel guitar with a shorter scale length, but it sounds like a professional full fret guitar. With a rose gold body and neat design, this guitar certainly looks as good as it sounds. However, being a travel guitar, it has a bit lower volume than regular guitars, but it is very easy to play and gives a good feel. These qualities along with many others overshadow its minor flaws. The Yamaha JR2S 3/4 is the travel model of the Yamaha FG Acoustic Folk Series. 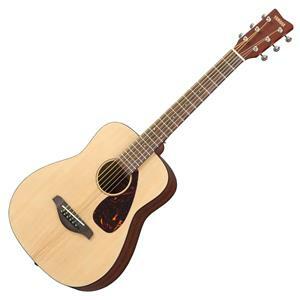 It is basically a compact, smaller, and more affordable version of the Yamaha FG Acoustic Folk Series. The guitar has 24″ scale-length with a solid Sitka spruce top. It has excellent playability and a portable body, which could have made it the perfect travel partner if quality was not a concern. Yamaha is known for its sound quality, but it has certainly dropped its standards in the JR2S 3/4. This guitar is not one of Yamaha’s best creations with a poor construction and tuning durability. The minor flaws it contains are a norm of low-priced travel guitars, but while buying a Yamaha, you always expect more. Overall, it is not a bad instrument and does the job just fine. 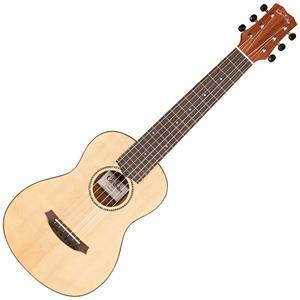 If the nature of your travel is informal and you are just looking for a guitar that provides you with a bit relaxed feel and easy music, then you should go with a non-full scale length version. These guitars are not considered to be professional, but they sound good with fewer options. Short scale length models take less effort in playing because of the reduced tension in the strings. Picking of the strings and fretting is generally easier. Overall, they allow a more comfortable way of playing music. On the off chance you are searching for a proper practice or perhaps a professional guitar that you can bring anywhere with you, you will need a complete scale version. A full scale length guitar is very close to the specifications of the regular guitar that you’re accustomed to playing. It can even be used for professional concerts and performance. It is considered to have the playability of a regular guitar, needing just minor changes in your playing style. A silent guitar can also be used as a substitute for a full scale length travel guitar since it is as portable and offers almost the same playability. Portability: A travel guitar should be compact and easy to move around. Sound: The purpose of a guitar, be it a travel or regular, is to sound good and inspire people. Ruggedness: Traveling on the road means bumps, temperature changes and humidity. Affordability: It should be according to your budget.